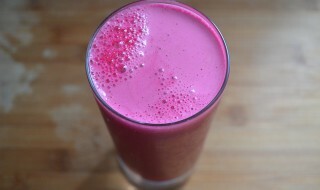 If you’re looking for a super healthy addition to your plate, this beet citrus juice recipe can do wonders for you. Beets are fabulous for you; they help in lowering blood pressure and are rich in nutrients and antioxidants. You can add a bunch of advantages more–anti-cancer benefits, great taste, helps in detoxing your body etc. Keep reading to learn more about the recipe! Blend beetroot , honey , with lemon juice & water in a juicer for 2-3 minutes. Voila, your beet citrus juice is ready in no time.